The bearded clerics of Pakistan’s Council of Islamic Ideology, the advisory body that determines whether the country’s laws are in accordance with Islam, have been extremely busy this year. Central to their preoccupations has been the issue of marriage; in March they ruled that existing legislation requiring a man to obtain written permission from existing wives before marrying another were un-Islamic and needed to be amended. Then in May they announced that laws prohibiting the marriage of minors were also un-Islamic. 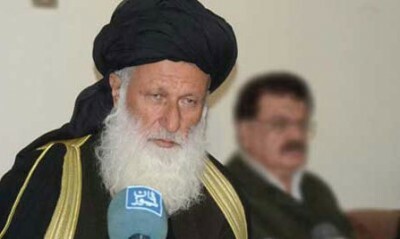 Puberty, not age, determines eligibility for marriage, said Maulana Muhammad Khan Sheerani, the Chairman of the Council, clarifying that legal contracts for marriage could be completed by guardians for minors, while consummation could wait until after puberty. On Tuesday, after the Council’s latest conclave, came another bombshell. Polygamy, said Sheerani, could not be a condition for which a woman could petition for divorce. The sum of all the Council’s rulings, if legislated, would mean that a Pakistani man could marry a second, third, or fourth wife without the permission of existing ones, who could not petition for divorce for this reason.